Unimaginable villains will test the mythical power of Hercules in this gritty take on the hero. Both man and myth, Hercules leads a band of mercenaries to help end a bloody civil war in the land of Thrace and return the rightful king to his throne. 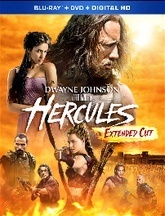 A tormented soul from birth, Hercules has the strength of a God but feels the suffering of a human as his mythical power is tested by unimaginable villains in director Brett Ratner‘s gritty take on one of the most epic action heroes of the ages.